Feel the romantic and Venitian inspired project of Megaworld Corporation. Venice Luxury Residences is the most remarkable community that McKinley Hill has to offer. The condominium is an up-scale community that was inspired by Italy's romantic city, Venice. The architecture and atmosphere of the condominium capture the feeling of Venice with seven towers, each between 22 and 33 floors, which are perfectly integrated with the Town Center's Venetian Mall. The serenity of Venice is embraced at the Venice Luxury Residences with a wide range of amenities that are available to its residents. Within the condominium, residents are able to visit the fitness center, play area, tennis and badminton courts, an outdoor spa, palm court, a pond, fountains and swimming pools. There are also meditation gardens that are constructed of sculpture and rock. Residents can also expect: automatic heat, smoke detection and sprinklers for each unit, overhead tank and underground cistern for abundant water supply, standby power generator for selected floors, security office, maintenance and housekeeping services and a centralized mailroom. Ever unit that is offered at the condominium has a balcony. There are various units that you can choose from depending on your needs. The Studio with Balcony measures 39.4-41.4 square meters; the One Bedroom with Balcony measures 64.4-66.4 square meters. The Two Bedroom with Balcony measures 102.60 square meters, the Three Bedroom with Balcony measuring 119.5 square meters and the Penthouse Two Bedroom with Balcony measures 162.60 square meters. All units feature high ceilings to add to the luxury of the unit. The condominium is also inter-connected to the mall. This residential and commercial area will feature the country's first and only man-made Grand Canal in the Venetian Mall. Residents and guests are able to enjoy a romantic gondola ride while passing a replica of the famed Rialto Bridge. The typical residence features include: entrance panel door with viewer, individual electric and water meters, individual mailboxes with keys, provision for television and CATV lined per unit, provision for hot and cold water supply lines (excluding water heater) and an individual Condominium Certificate of Title. This condominium will be constructed by Megaworld International. Location Highlights: Ortigas, Makati, San H=Juan/ Shaw, South Super Highway, international schools, commercial establishments, embassies, multinational companies, St. Luke's Medical Center, UPTOWN PLACE, Bonifacio High Street Enderun College. Did you know that you can in reality live at the "little Venice" of Taguig not just a mere fantasy? Megaworld Corporation, the pioneer in Real Estate improvement in the Philippines, as of late displayed to open The Venice Luxury Residences, one of the rich Global City apartment suites. It is so far Megaworld's most sentimental and staggering property dare to date situated at McKinley Hill, Fort Bonifacio Global City. The Venice Luxury Residences, enlivened by its namesake area, joins Venetian design and scenes, including a fabulous waterway that moves through the township focus. The Venetian motivation flourishes in the structures' outside, taking after the state of a ferro–a gondola's extraordinarily formed iron head. Each of the seven towers is likewise complicatedly fabricated and grasped in lavish greenery. Inside, the Italian mood proceeds with a great entryway that is supplemented by high roofs and tall window ornament glass. The seven towers share a platform level luxury zone that incorporates finished greenhouses, swimming pool complex, sauna and Jacuzzi and wellness station. Venice Luxury Residences Condominiums is located inside a tip-top 50-hectare township group – the McKinley Hill Bonifacio Global City Taguig – created by Megaworld. The Venice will be a multifaceted and self-supporting group due to the different private, business, and business improvements. The Venice is deliberately situated at McKinley Hill Bonifacio Global City with two primary passage focuses. To start with is through C-5 that takes you either to the Alabang territory or the Ortigas Business District or by means of Katipunan in under thirty minutes. The second is the Global City course that takes you to the airplane terminal in twenty minutes and the Makati Business District in under ten minutes. In addition, it is likewise close from key advancements, for example, The Piazza – Venetian Mall at McKinley Hill; St. Luke's Medical Center Global City; Bonifacio High Street and Serendra at Global City (and the future Bonifacio High Street Central); International School Manila, Manila Japanese School, Chinese International School, British School Manila, Enderun College and Korean International School; Foreign Embassies-Britain, Singapore, Qatar, Korea; SNR Membership Shopping; The Burgos Circle; Dasmarinas Village and Forbes Park; Uptown Place, Rockwell, Greenbelt, and Glorietta Mall. The Venice will house more than twenty unique luxuries with the goal that occupants will appreciate living in this private complex without limitations. Remain fit as a fiddle while taking extraordinary exercises at the grown-up wellness station. Keep up a dynamic way of life by holding an opening at the badminton court and tennis court. Before the finish of a strengthening amusement or exercise, unwind your depleted body at the sauna or spa. For nature darlings, the palm court, reflection plant, cultivate court, and shake garden are impeccable to take every day strolls. Take an invigorating lap at the huge estimated swimming pool encompassed by Italian figures of the fanciful divine beings, including Venus. Encounter Venice like no different as couples take a sentimental gondola ride along the Grand Canal and trade a cherishing minute once they pass the Rialto Bridge – a correct copy of Venice's acclaimed historic point. Keep on revering one of the well-known Venetian symbols by climbing the St. Stamp's Tower. Walk and shop at the promenade. At that point bring previews with the exquisite Clock Tower as the foundation. Be engaged at the grandstand of gifts by stand-up acts and vocalists at the Piazza Grande. You can drag out your amusement time with wide assortment of decisions for the seven towers of The Venice are flawlessly consolidated with McKinley Hill Town Center's Venetian Mall. There are various units that you can choose from depending on your needs. Units at The Venice Luxury Residences are classified as Executive Studio, One Bedroom, Two Bedroom, and Three Bedroom. Executive studio unit features at The Venice include a sleeping den, a full bathroom, a functional kitchen, a combined living and dining room and also a private balcony. Other features are: Wooden plank floor finish in living, dining and bedroom; Sleeping den with modular closet; Ceramic tiles in kitchen and toilet and baths; Kitchen with stainless steel sink and modular under counter and hanging cabinets; Toilet and kitchen with mechanical ventilation; as well as Provision of window-type air conditioner opening and power outlet. Megaworld The Venice Luxury Residences in Taguig City, Philippines is a premier Condo project available for sale. If you're looking to rent or purchase The Venice Luxury Residences, then check here first. We have full details of The Venice Luxury Residences updated regularly as well as everything you need to know about the availing and booking process, broken down into stages that includes selecting a unit, choosing a payment plan and buying your dream home at the right price. For price list, free site tripping or showroom visit, personalized service, model house, unit plans, floor plans, payment terms, CHAT LIVE with an agent 24x7. We are Remax Perfect Homes. Always only buy from PRC licensed Real Estate Brokers and Agents. A Rome-based, world-class designer Paolo Marconi Architeto rendered the architectural design of the Venice Luxury Residences, a luxurious condo in Taguig City that is the dream of every homeowner and the envy of most residents of other upscale condo developments around the BGC. With an Italian architecture under its helm, this colossal project is currently the craze around McKinley Hill because of its breathtaking scenery typifying the great Italian City of Venice whereas a romantic ambiance is ruling the landscape. The 7 towers that this palatial residential development is made of, is mixed into its own shopping center called The Venitian Mall, a captivating commercial center that elevates the site further like a Roman Empire ruling upon its subject. With all its serenity and tranquility amid a bustling setting, the Venice Luxury Residences remains as terrific as a wonderland and a mini city complete with a man-made lagoon called the Grand Canal which is a perfect replica of the real Venice. At the Venice Luxury Residences Taguig City, every unit is crafted with precision and correct measurement. The units offered comprise of a Studio, Executive Studio, 1-BR, 2-BR, and 3-BR units, all with balconies and made up of luxurious finishes. 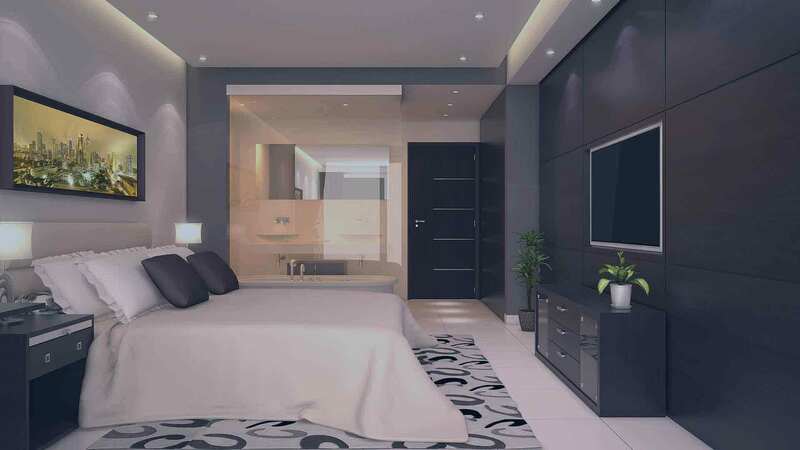 Each unit has floor embroiled with laminated wood planks on the bedroom, ceramic tiles on the floor of living, dining, bathrooms, and kitchen areas. All units have an artistic color on interiors, while the kitchen has stainless steel sink with a ceramic counter top incorporated with hanging and modular under counter cabinets, and the bathroom is complete with necessary fixtures and other worthy deliverables. So, you are investing in a complete residential suite, additional fixtures are only minimal, a great investment for a family that is ready to move in. The Venice Luxury Residences is one condo community in Taguig City that is not only offering the finest units in town, its distinct amenities are also one for the books, consider these: Jacuzzi, landscaped gardens, palm courts, meditation garden, rock garden, fitness station, spa, sauna, tennis court, basketball court, badminton courts, swimming pool, lap pool, pocket gardens, sculpture garden, kiddie pool, changing rooms and showers, and so much more! Taguig City has the lowest real estate taxes among the cities in Metro Manila. The city hosts the most number of international schools. It is also home to dozens of prestigious Philippine schools. The city has a population of more than 800,000 people majority of which have the highest purchasing power compared to other cities of the metro. The city is hosts to the Bonifacio Global City (BGC), the financial and commercial district of Taguig rivaling the CBD of Makati. Fortunately, the center of BGC is just a kilometer away from the Venice Luxury Residences and inside the McKinley Hill.